Taft High School in Chicago expects to more than double the number of gamers in its eSports program next fall. 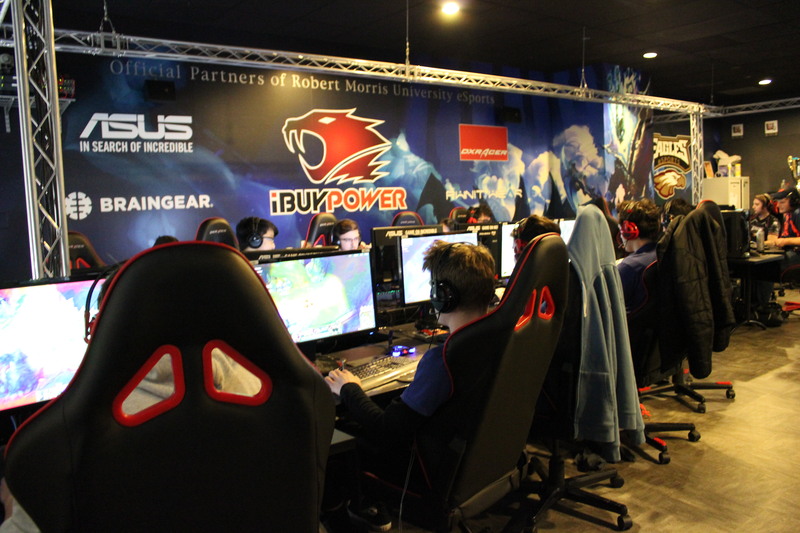 One of the first schools in the Chicago area to have an eSports program, Taft expects to go from 40 video game players to more than 100 next fall as coach Todd McFarlin gets some additional help in overseeing activities. A similar boom in structured video game-playing is getting attention statewide. The Illinois High School Association has put eSports on its Emerging Sports and Activities List. It joins hockey, rowing, rugby and other activities under the watchful eye of the IHSA and could eventually be considered for sanctioning. McFarlin isn’t one to get caught up in the banter about whether video game players are “athletes.” He just likes the impact that the activity has on students. There are 27 high schools currently listed on the IHSA Emerging Sports page. Matt Troha, assistant executive director of the IHSA, said it normally takes 60-80 schools having an activity before the governing agency will consider sanctioning it as a high school sport or activity. However, the IHSA is not waiting for more schools to join the Emerging Sports List before addressing the eSports issue. Troha said the governing body will be convening an advisory committee to address team video game-playing. Burbank — Reavis and St. Laurence. Chicago — Back of the Yards, DePaul College Prep, Holy Trinity, Taft and Von Steuben. Troha likens the emergence of video game-playing to bass fishing when the IHSA sanctioned it as a sport 10 years ago. “People snickered and rolled their eyes, but our philosophy has always been to consider things,” Troha said. “Research shows that kids who compete for a team get better grades and are in less trouble. When you see something like bass fishing, a lot of kids love it. If competing gets them to go to school, why not introduce it, add legislation and have competition? 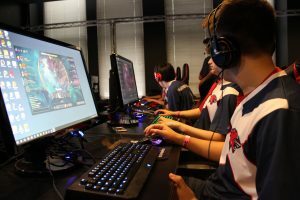 Taft’s McFarlin, who also is co-founder of the Illinois High School eSports Association, said he doesn’t have to worry too much about his club members burning themselves out at Taft. He does keep a watchful eye on his eSports participants in other areas, though. The Taft history teacher said he expects eSports to explode at the college level as professionals in the business can make six-figure salaries. He said eSports can be a way for some kids to get a free education. DePaul University just announced that it was going to have an eSports program beginning next year. A Taft eSporter will be heading to DePaul next year, McFarlin noted, and be a part of the team one way or another. He said he hasn’t had any of his gamers net a scholarship for eSports yet, but knows that it is just a matter of time. When his own sports playing time diminished after his sophomore year of high school, McFarlin turned to video games. Once he started teaching, McFarlin said, he wished that he had had an opportunity to play video games with teammates in high school. 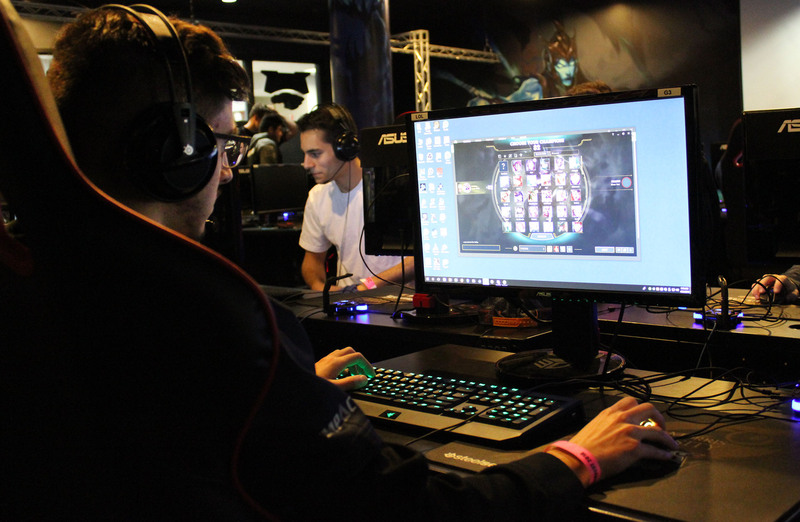 He wanted to offer that opportunity to his students and went about setting up the eSports club at Taft. He said his eSports players are usually practicing or performing on computers six days a week year-round: one practice at school, two or three days practicing at home and a couple days in competitions each week. The reason for just one weekly practice at school? “The equipment they have at home is better than what we have at school,” McFarlin said. Students who focus on video gaming aren’t limited to just going pro in a certain game, McFarlin said. McFarlin said the Taft administration buying into the concept has been a huge benefit for the students and the eSports program. Taft students put in as many as 50 hours a week to hone their video gaming skills, McFarlin said.